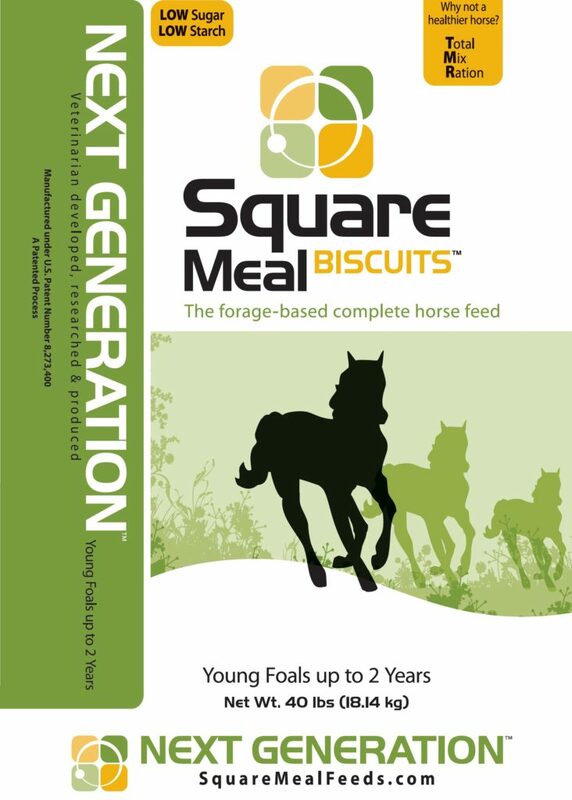 Alfalfa, Grass, contains 2 percent or less of Molasses, Propionic Acid, Monocalcium Phosphate, Flaxseed Meal, Sodium Chloride, Calcium Carbonate, Potssium Chloride, Hemicellulose Extract, Magnesium Oxide, Zinc Amino Acid Complex, Manganese Amino Acid Complex, Copper Amino Acid Complex, Selenium Yeast, Vitamin E Supplement, Vitamin B12 Supplement, Sulfur, Calcium Pantothenate, Ferrous Sulfate, Iron Oxide, Zinc Sulfate, Zinc Oxide, Rice Hulls, Manganous Oxide, Betaine (anhydrous), Copper Sulfate, Brewers Dried Yeast, Fenugreek Flavor Extract, Folic Acid, Manganese Sulfate, Cobalt Carbonate, Lactic Acid, Thiamine Mononitrate, Riboflavin Supplement, Niacin Supplement, Vitamin A Supplement, Pyridoxine Hydrochloride, Vitamin D3 Supplement, Banana Flavor, Biotin, Mineral Oil, Ethylenediamine Dihydriodide, Potassium Iodide. 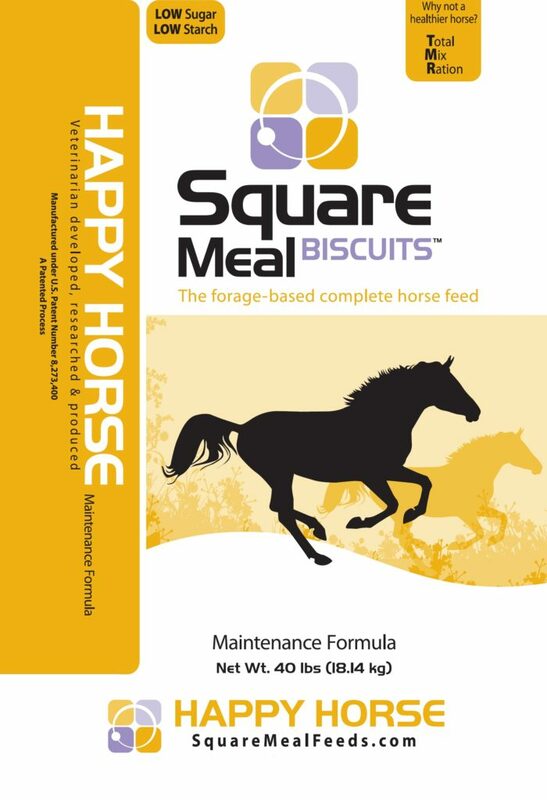 Alfalfa, Grass, Ground Oats, contains 2 percent or less of Molasses, Propionic Acid, Monocalcium Phosphate, Flaxseed Meal, Sodium Chloride, Calcium Carbonate, Potssium Chloride, Hemicellulose Extract, Magnesium Oxide, Zinc Amino Acid Complex, Manganese Amino Acid Complex, Copper Amino Acid Complex, Selenium Yeast, Vitamin E Supplement, Vitamin B12 Supplement, Sulfur, Calcium Pantothenate, Ferrous Sulfate, Iron Oxide, Zinc Sulfate, Zinc Oxide, Rice Hulls, Manganous Oxide, Betaine (anhydrous), Copper Sulfate, Brewers Dried Yeast, Fenugreek Flavor Extract, Folic Acid, Manganese Sulfate, Cobalt Carbonate, Lactic Acid, Thiamine Mononitrate, Riboflavin Supplement, Niacin Supplement, Vitamin A Supplement, Pyridoxine Hydrochloride, Vitamin D3 Supplement, Banana Flavor, Biotin, Mineral Oil, Ethylenediamine Dihydriodide, Potassium Iodide. Alfalfa, Grass, contains 2 percent or less of Wheat Bran, Soy Oil, Molasses, Propionic Acid, Monocalcium Phosphate, Flaxseed Meal, Sodium Chloride, Calcium Carbonate, Potssium Chloride, Hemicellulose Extract, Magnesium Oxide, Zinc Amino Acid Complex, Manganese Amino Acid Complex, Copper Amino Acid Complex, Selenium Yeast, Vitamin E Supplement, Vitamin B12 Supplement, Sulfur, Calcium Pantothenate, Ferrous Sulfate, Iron Oxide, Zinc Sulfate, Zinc Oxide, Rice Hulls, Manganous Oxide, Betaine (anhydrous), Copper Sulfate, Brewers Dried Yeast, Fenugreek Flavor Extract, Folic Acid, Manganese Sulfate, Cobalt Carbonate, Lactic Acid, Thiamine Mononitrate, Riboflavin Supplement, Niacin Supplement, Vitamin A Supplement, Pyridoxine Hydrochloride, Vitamin D3 Supplement, Banana Flavor, Biotin, Mineral Oil, Ethylenediamine Dihydriodide, Potassium Iodide. 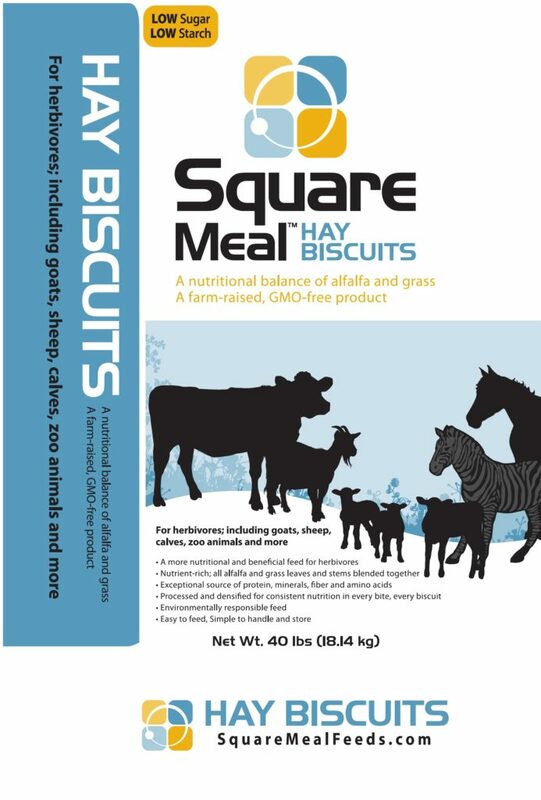 Hay Biscuit is a non-GMO product made from an alfalfa/grass mix, but with no vitamin/mineral supplement. 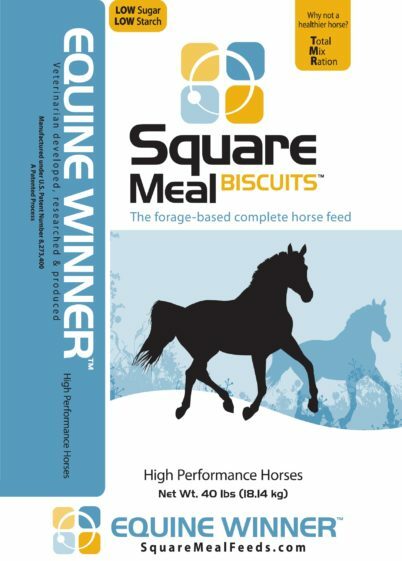 It is an ideal forage source for any plant-eating animal including sheep, goats, calves, and others. 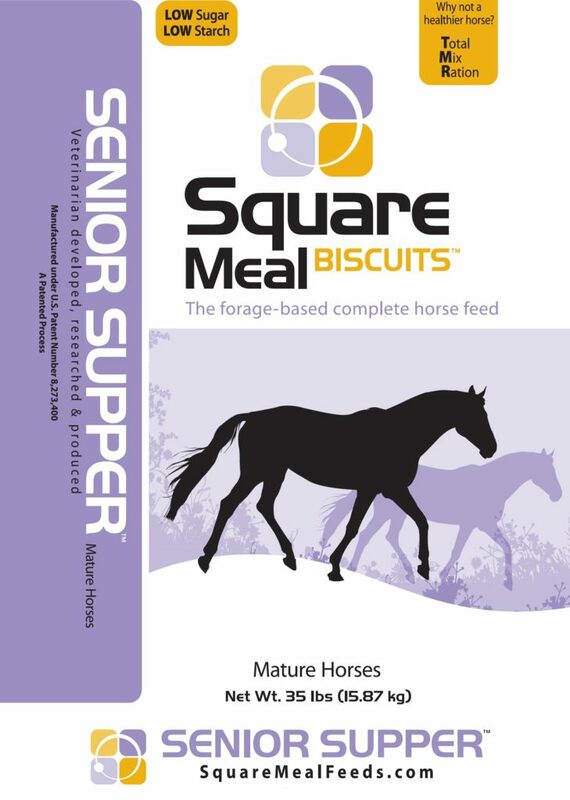 Like our other products, they are in biscuit form to ensure leaves and stems cannot be separated, but are shorter and softer than traditional alfalfa cubes. 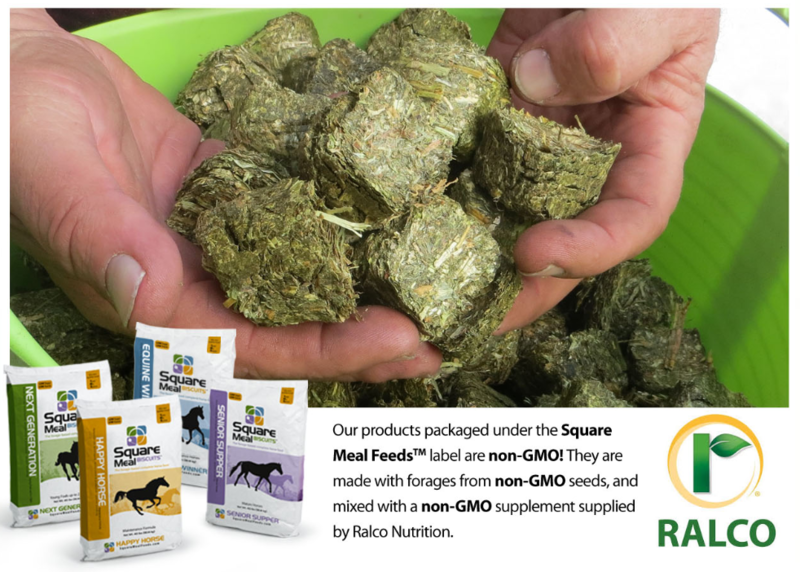 Alfalfa, Grass, contains 2 percent or less of Molasses, Propionic Acid.